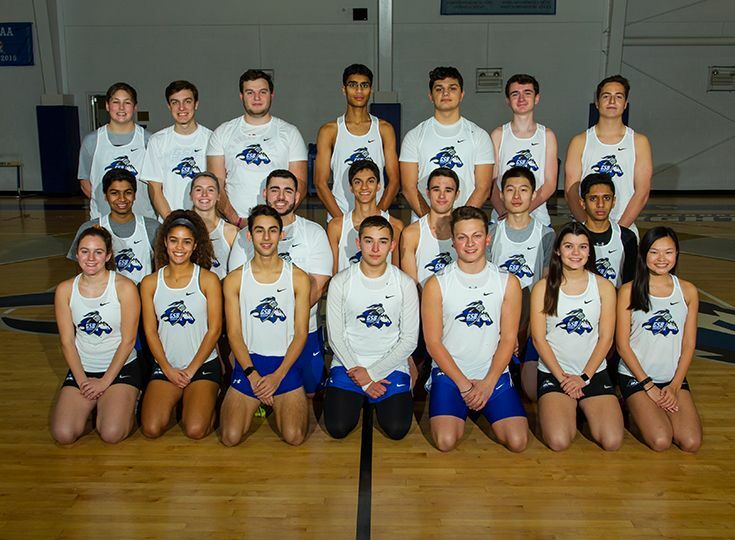 The boys’ and girls’ indoor track and field teams had strong showings at the NJSIAA State Relay Championships on January 18 at the John Bennett Indoor Sports Complex in Toms River, New Jersey. The boys’ team claimed sixth place out of twelve teams in the Non-Public B division while the girls’ squad had multiple season-best times. The highlight of the day came from the boys’ shot-put team of Mark Giordano ’19 and Joe Licata '22 as the two Knights teamed up to claim second place. Giordano recorded the farthest throw in thecompetition: 37 feet, 10 inches. A trio of relays also had solid showings for Gill. The sprint medley relay of Sohan DeSilva ‘21, Tyler Lynch ‘20, Bart Benoit ‘21, and Ansh Patel ‘21 placed fifth with a time of 4:16.72. The distance medley relay team of Patel, Will Strong ‘22, Chris Varghese ‘19, and Niels Rongen ‘20 also claimed fifth place with a time of 12:16.54. Rounding out the day was the squad of Rongen, Varghese, Strong, and James Koether ‘21 who teamed up to take fifth in the 4 x 800 relay with a time of 9:54.57. Having the best finish for the girls’ team was the relay squad of Anna Mikula ’20, Allie Zhao ’20, Emma Ryan ‘22, and Lucie Antonius ‘21 as they placed seventh out of 16 schools in the sprint medley relay with a time of 4:47.95. The 4 x 200 relay of Sam Lowe ’20, Ryan, Mikula, and Antonius also took 12th place with a time of 2:05.67. The Knights next compete at the Skylands Conference Championships on Saturday, January 27.